Biphana Kori is a woman made in the image of God, a valued member of an INF self-help group, and a survivor of domestic violence. Biphana’s husband was an alcoholic and was regularly violent towards her. Two years ago, this reached a breaking point and they separated. Taking their four children with her, Biphana moved to her mother’s home. But Biphana’s mother had barely any land to grow crops; what little grain they could harvest was never enough to feed six family members. Biphana took on labouring work, all of the earnings from which went to feeding the family. Despite how hard she worked, there was not enough for her to send her kids to school, and it felt impossible to meet other basic needs like health care and clothes. Biphana can recall difficult times when the family spent several days without food. Biphana was a member of an INF self-help group and three years ago, they began to discuss the topic of income generation. She expressed interest in starting an income generating scheme, and the group agreed to give her a loan from the savings they had developed together. Biphana bought a cow, which gave birth to a calf after a few months. She began to sell the milk, earning around 140 rupees per day [$1.70 AUD]. 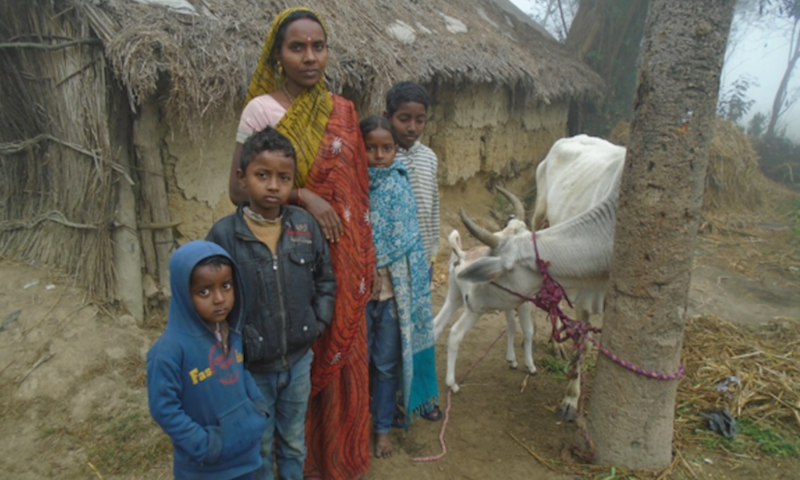 She saved her earnings and used them to buy another cow, doubling her daily income from milk. This also enabled her to buy a goat. This additional daily income – what may not seem like much to us – means Biphana can buy enough food and get her kids to school. She is very thankful to her self-help group for helping her change her life, and giving her hope for a better future. To be part of a solution to domestic violence in our own context, Australia, join us at Beyond Festival this November, which is looking at tackling this issue. We will be operating a chiya [tea] stall.